Scientists at DESY have developed novel lenses that enable X-ray microscopy with record resolution in the nanometre regime. Using new materials, the research team led by DESY scientist Sasa Bajt from the Center for Free-Electron Laser Science (CFEL) has perfected the design of specialised X-ray optics and achieved a focus spot size with a diameter of less than ten nanometres. A nanometre is a millionths of a millimetre and is smaller than most virus particles. The researchers report their work in the journal Light: Science and Applications. They successfully used their lenses to image samples of marine plankton. Modern particle accelerators provide ultra-bright and high-quality X-ray beams. The short wavelength and the penetrating nature of X-rays are ideal for the microscopic investigation of complex materials. However, taking full advantage of these properties requires highly efficient and almost perfect optics in the X-ray regime. Despite extensive efforts worldwide this turned out to be more difficult than expected, and achieving an X-ray microscope that can resolve features smaller than ten nanometres is still a big challenge. To meet the required precision, Bajt's team combined a novel fabrication process with detailed understanding of the material properties, which often vary with layer thickness. The new lenses consist of over 10 000 alternating layers of a new material combination, tungsten carbide and silicon carbide. "The selection of the right material pair was critical for the success," emphasises Bajt. "It does not exclude other material combinations but it is definitely the best we know now." "We produced the world's smallest X-ray focus using high efficiency lenses," says Bajt. Due to their penetrating nature, X-rays would usually pass straight through the lens materials. Such rays obviously do not contribute to the focus, and thus a long-term goal has been to produce lens structures that enhance the interaction with X-rays, to direct a high fraction into the focus. The new lenses have an efficiency of more than 80 per cent. This high efficiency is achieved with the layered structures that make up the lens and which act like an artificial crystal to diffract X-rays in a controlled way. The high efficiency achieved here demonstrates the very high level of control in the production of the necessary nanometre structures. This accuracy allows projection imaging over a large range of magnifications as demonstrated by tests of the novel lenses. At beamline P11 of DESY's X-ray source PETRA III the scientists produced high-resolution holograms of Acantharea, single-celled Radiolaria belonging to marine plankton and the only organisms known to form skeletons from the mineral strontium sulfate (SrSO4) or celestite. 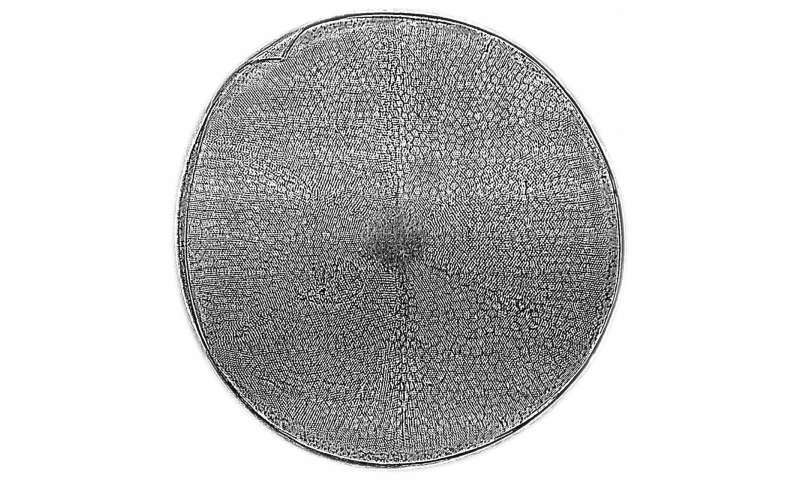 Bajt's team has also used the new lenses to image the biomineralized shells of marine planktonic diatoms. These single-celled organisms have intricate shells, which are highly complex stable but also lightweight constructions. They consist of nanostructured silica, which was observed in two dimensional analyses with electron microscopes before. Most likely because of this structuring, the strength of the silica is exceptionally high - ten times higher than that of construction steel - although it is produced under low temperature and pressure conditions. 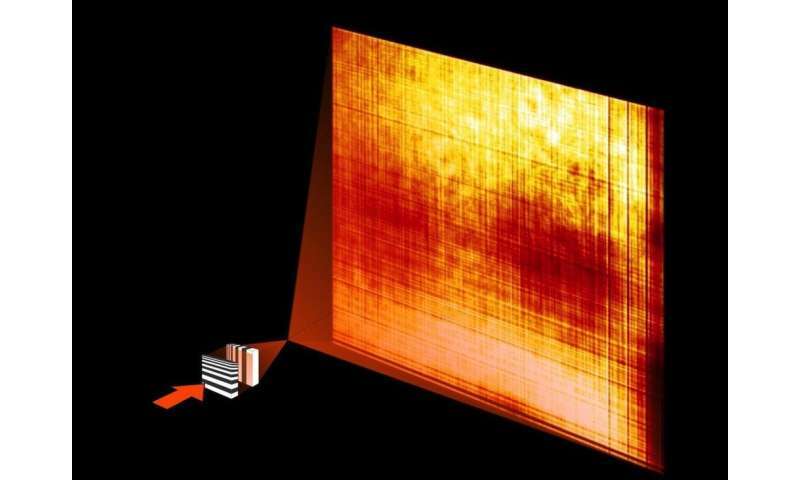 "We hope that the novel X-ray optics will soon make it possible to image these nanostructures in 3D. This will enable us to model and understand the high mechanical performance of these shells and help us to develop new, environmentally friendly and high performance materials," says Christian Hamm from the Alfred Wegener Institute, Helmholtz Centre for Polar and Marine Research (AWI), who provided the samples and is a co-author of this study. The new lenses can be used in a wide range of applications including nano-resolution imaging and spectroscopy. "These MLLs open up new and exciting opportunities in X-ray science. They can be designed for different energies and used with coherent sources, such as X-ray free-electron lasers," says Bajt. "This great achievement would not have been possible without a wonderful team with expertise in X-ray optics and theory, nanofabrication, material science, data processing and instrumentation. Since we now know how to optimise the lens design, our work paves the way to ultimately reach the goal of one nanometre resolution in X-ray microscopy."